The nutrition of shellfish broodstock, larvae and spat, consists of several types of micro-algae. 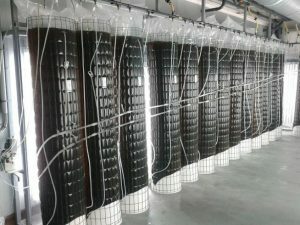 These algae are cultivated in a specially conditioned area. We use 60 flow-through systems of 220 l. each, represent a daily production of approx. 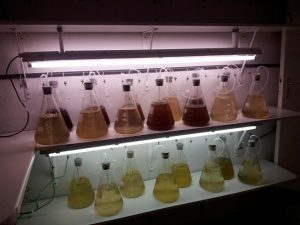 2000 l. algae.